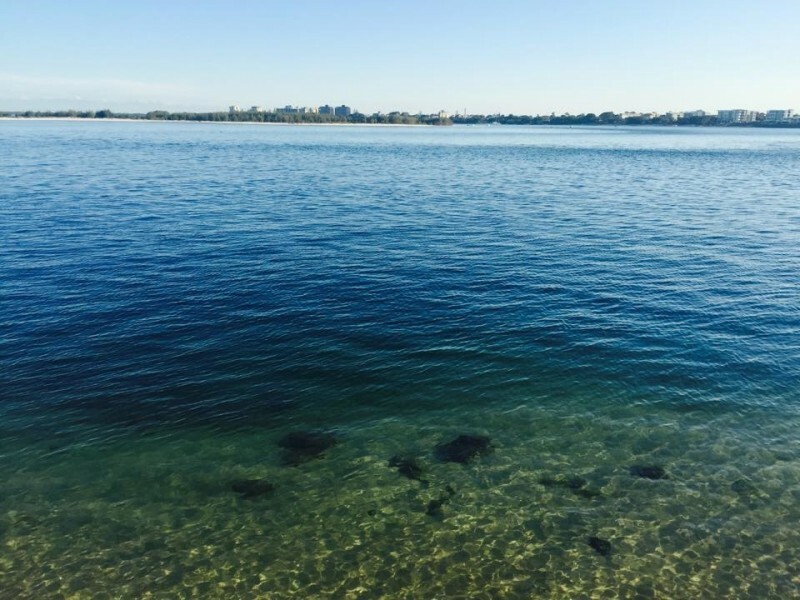 Caloundra is an addictive and seductive destination that pulls you into its grasp of enticing and never-ending beauty, a boisterous dining scene, and luxury accommodation and releases you with a fresh obsession with this stretch of Sunshine Coast bliss. 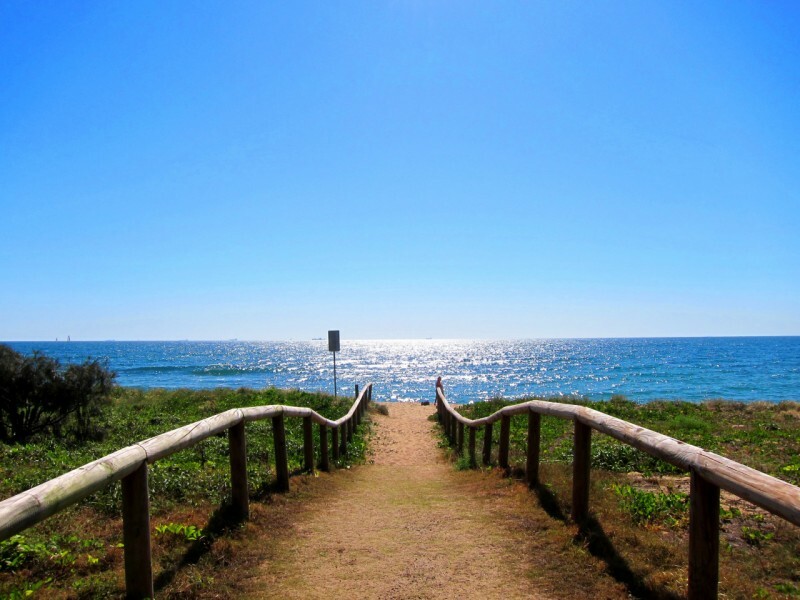 When exploring the coastline of Caloundra expect to find roaring aqua blue waves crashing down onto golden sand beaches fringed by tropical pandanus tress in absolute abundance. Alongside these world class beaches you will find amazing attractions including Australia’s largest and most popular zoo, a range of incredibly large icons (think The Big Banana, The Big Pelican, and The Big Mower), markets, and many more family friendly activities and facilities. Although exploring these gems will take time, as you have seven different beaches to choose from! 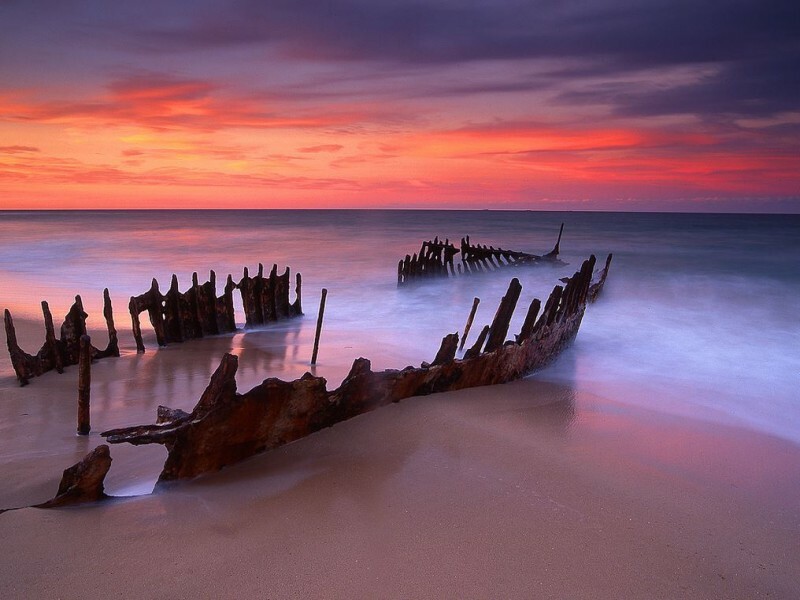 Expect to find ship wrecks that make awesome backdrops for family photos, entire kids water parks complete with time-delayed water jets, and free public swimming pools. 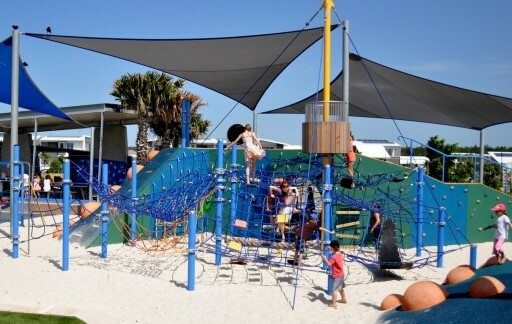 Caloundra has beach-fun in bucket loads! This backdrop is paired like a fine wine with a sublime climate that hangs around 300 days a year, making this tropical region even more spectacular. One of the best places to enjoy this piece of paradise is Rolling Surf Resort. 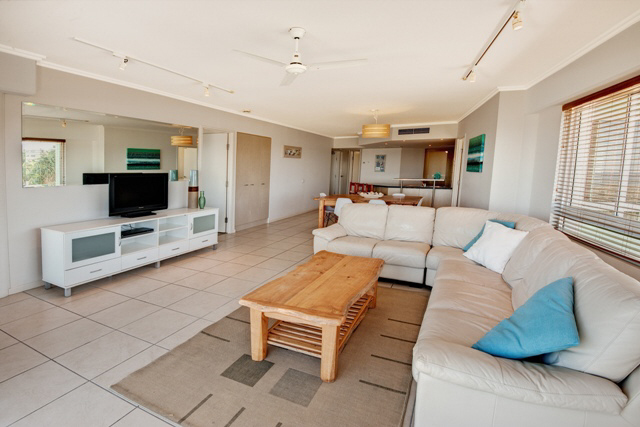 This accommodation boasts an amazing central location on Kings Beach with proximity to shops, cafés, and restaurants, fantastic pool area with wading pool, gym, sauna, BBQ area, arcade and games room, tour desk services, and a warm, family-friendly atmosphere. The best part? Rolling Surf Resort is nestled right on top of the sandy banks of Kings Beach – meaning there is NOTHING between you and the golden shores of the coastline. Choose between spacious 1, 2, and 3 bedroom apartments that feature modern open plan dining, living and gourmet kitchen areas that are perfect for couples up to large families. Your dining options are endless at Rolling Surf Resort, with a fully equipped kitchen you have the option to make as many meals in the comfort of your apartment as you like, or you could eat out at a different restaurant or café every meal for a weekend and you’ll barely have scratched the surface! Coffee Cat Café is a beautiful, cozy breakfast and lunch nook that is conveniently located in the building, while J Kitchen Sushi has your Japanese cravings under control with a wonderful array of sushi and curries made fresh daily. 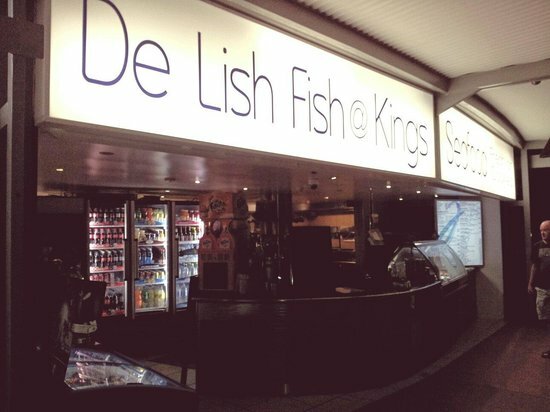 For your traditional fish n chips meal stroll just down the street to Delish Fish on Kings which is famously known as the best fish n chips in town! There is also a great children’s playground just adjacent to the resort where you can settle into a picnic while the kids have a great time. 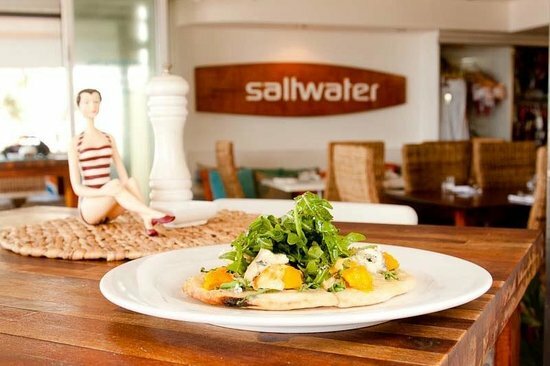 For a ritzier culinary experience book a table at the resorts restaurant, Saltwater @ Kings, it has a fantastic family ambience, excellent service, and a menu that has your favourites as well as a few extra twists. You will find a greater range of restaurants again in the town centre just a short stroll down the road. 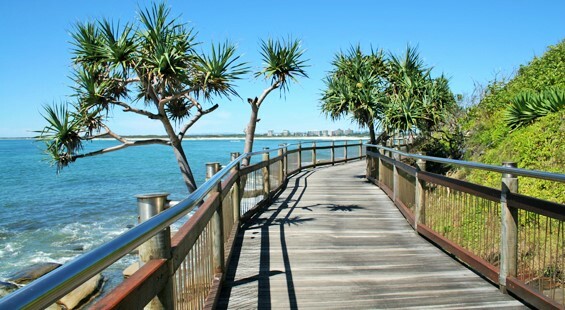 Once you’ve had your fill, start exploring Caloundra’s beautiful beaches, we recommend packing the kids scooters, bikes, or skates, and starting your adventure on foot (or wheel) and explore the boardwalk that stretches along the esplanade. There will be plenty to keep you entertained from the beaches, to ice cream vendors, to excellent playgrounds. 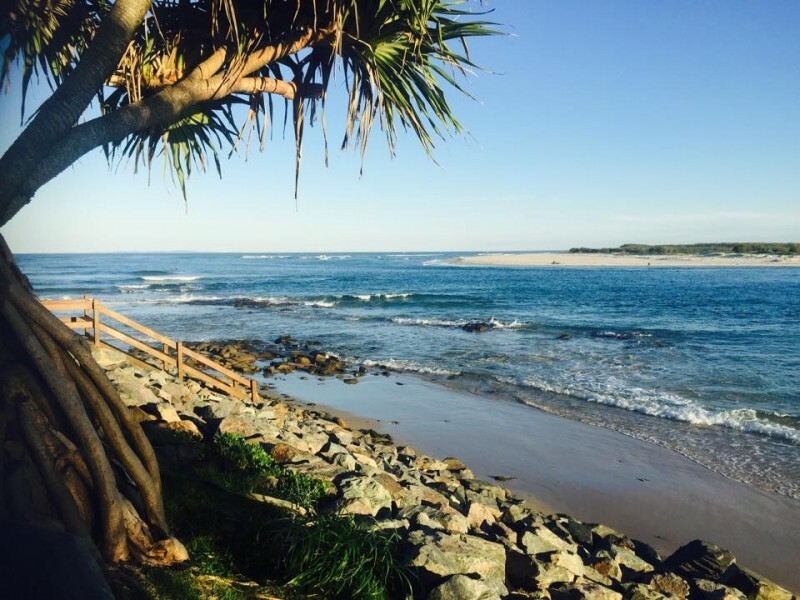 Each of Caloundra’s seven beaches has something unique, so we recommend visiting them all, but the absolute best, is right outside your resort base. 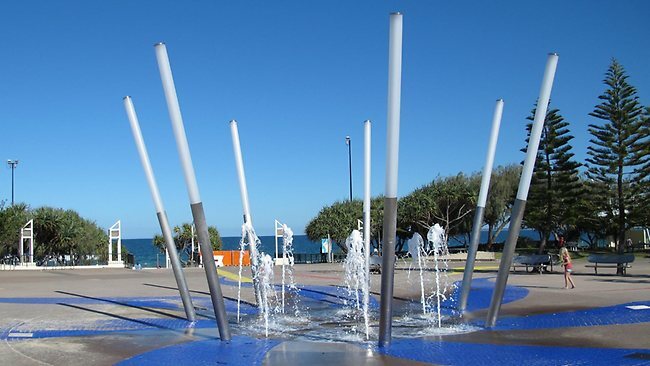 Kings Beach is patrolled by diligent surf life savers, has a public oceanfront saltwater swimming pool, enchanting rock pools, and the awesome time delayed water fountains – the kids will never want to leave. That is what makes Rolling Surf Resort so special – your entire holiday can be spent at the resort without ever stepping out of Caloundra. 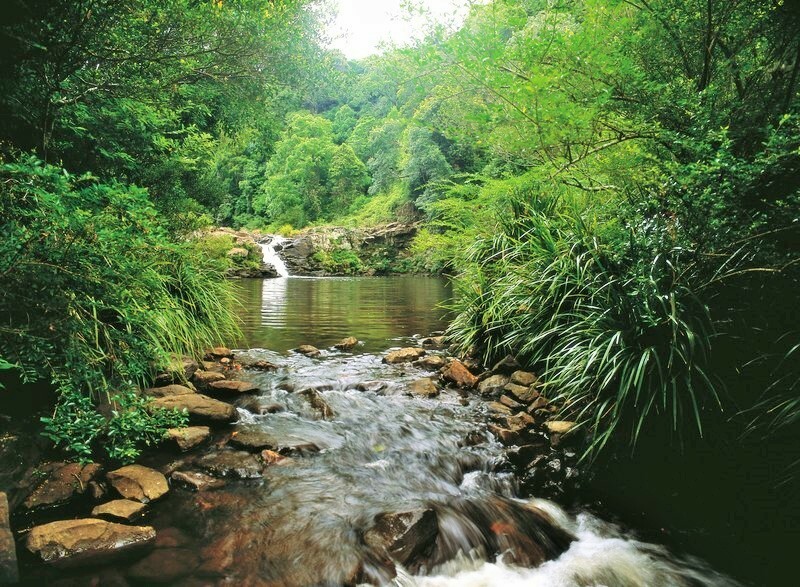 However, if the urge does take you, the Sunshine Coast hinterland is only a short drive away and boasts markets, galleries, vineyards and wineries, taverns and breweries, an amazing dining scene, and stunning rainforest walks. 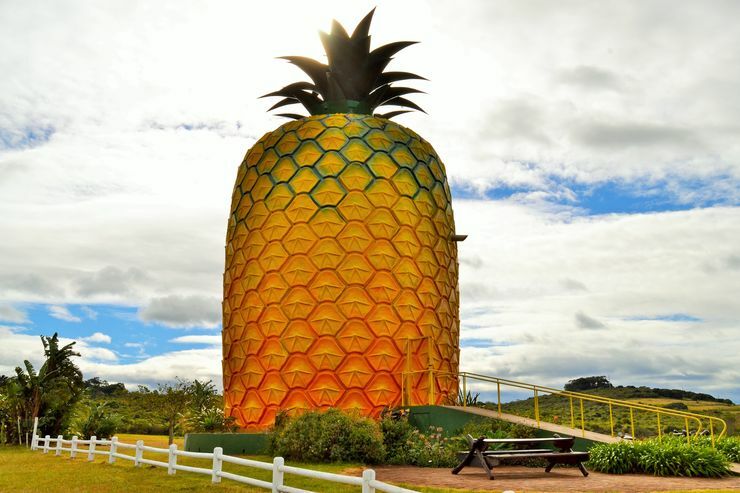 There are also giant fruits to be discovered including the Big Pineapple and Tropical Fruit World, and for regular sized fruits Strawberry picking has become a popular pastime for couples and families along the way. We love breaking up the trip home with some strawberry picking, as it’s a fun activity the whole family can be involved in and we have some delicious snacks for the trip home! The Sunshine Coast is well renowned as the Irwin family’s home territory with Australia Zoo being another family favourite. For an animal experience in the water look no further than Mooloolaba’s Underwater World where stingray’s, sharks, and fish float above your head as you venture through the transparent tunnels! 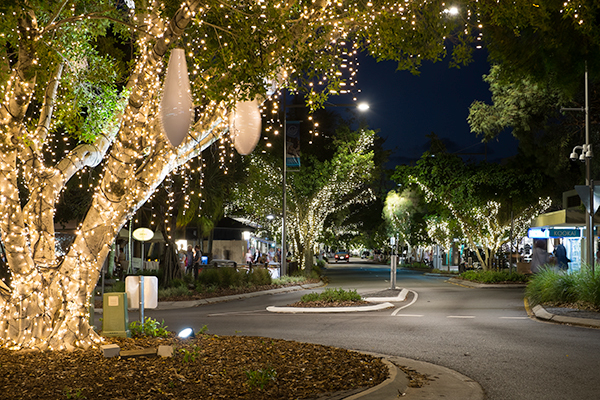 For a classy shopping experience venture north to Noosa’s sophisticated Hastings Street, where you will be impressed by the beautiful boutiques and designer storefronts, cafés, galleries and more. To find a unique gift or purchase head to the Eumundi Markets that stock everything from fresh produce to local cuisine, to art, craft, homewares and more. The tours desk at Rolling Surf Resort reception can organise whale watching (seasonal) day cruises, rainforest adventures, jet ski trips and plenty more to suit your holiday tastes. Spend enough time relaxing here, and Caloundra’s cruisy atmosphere will surely permeate even the most tightly wound individual. The beaches will have you reminiscent of your childhood and allow you to relive it with your own partner, friends, or family making memories that will stay with you for a lifetime. You could easily spend weeks enjoy the sunshine, relaxation, and rocky mountainous backdrop of the Glasshouse Mountains sprawled lazily against the hinterland. 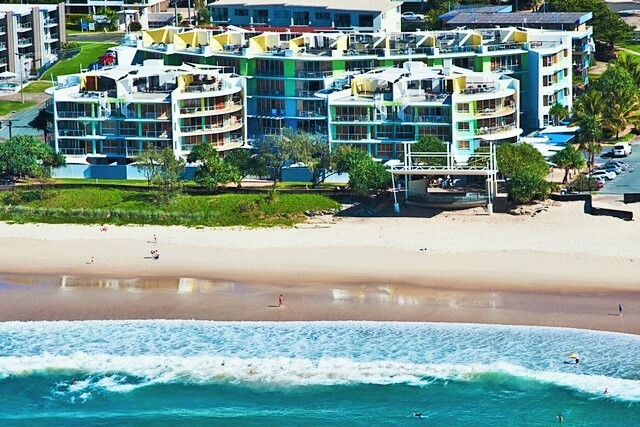 Rolling Surf Resort is the perfect base for your next Sunshine Coast adventure so call the Queensland Holiday experts at Discover Queensland to book your escape today. 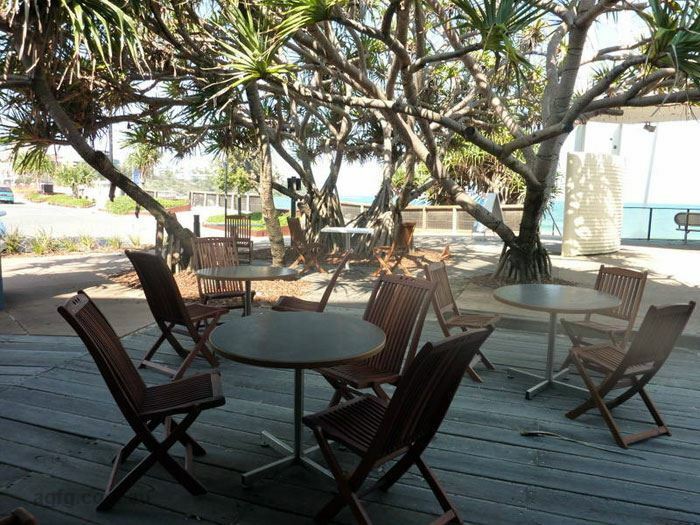 Whether you want relaxation or excitement Rolling Surf Resort is the ideal base for your Sunshine Coast holiday. Offering an alluring outlook of either the pool or glistening ocean waters, the Rolling Surf's apartments offer spacious comfort with casual living in mind. 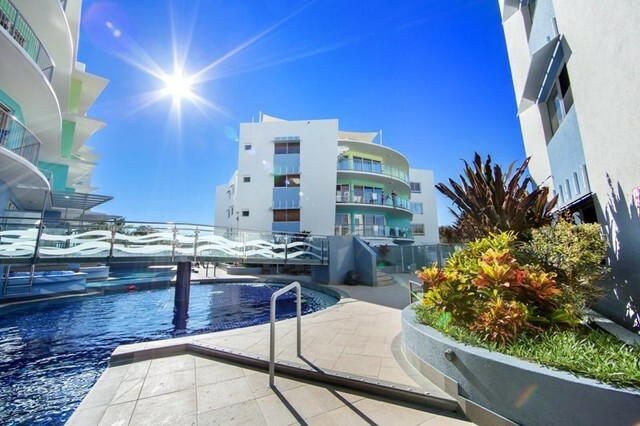 Perfectly positioned just a short walk from the sparkling waters of Golden Beach and now boasting a brand new onsite water play park, Oaks Oasis is an ideal Caloundra accommodation choice for families, couples and groups alike.